In a peaceful location 20 miles south of Edinburgh, this comfortable barn conversion has a pleasant outlook over fields towards the village. 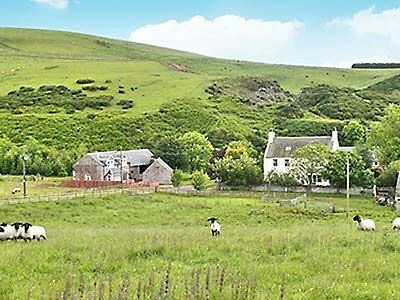 It boasts hill walking in the Lammermuirs with the Southern Upland Way nearby. The beach at Gullane, 23 miles, is within easy reach, as are the Borders abbeys, North Berwicks Sea Life centre and boat trips to Bass Rock to see seals and puffins. Enjoy Edinburghs historic castle, free museums, excellent choice of restaurants and stylish shops. Shop and pub ¼ mile, restaurant 1 mile. Ground floor: Living room with French doors/dining room/kitchen. Shower room and toilet. First floor: Two bedrooms: 1 double, 1 bunk. Bathroom with shower over bath and toilet. Elec CH, elec, bed linen and towels. Two Freeview TVs. CD. Elec cooker. M/wave. W/machine. Enclosed decked area and furniture. Parking (2 cars). Cycle store. No smoking. Friday to Friday. NB: Access to owners home through garden, fenced burn in grounds. 1st comment: Really attractive newly-built cottage, (actually a converted stable) on a farm. Sheep, horses and dogs in the fields immediately surrounding the cottage. Hamish and Ann Reid very welcoming hosts. Good food in local pub/hotel. Good local walks around the beautiful countryside. 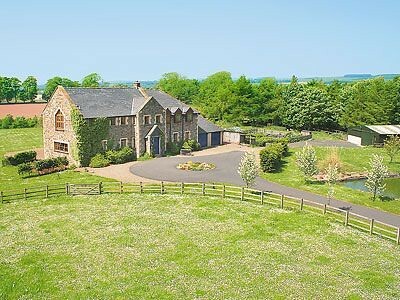 Ideal for a quiet break with Edinburgh only 20 miles away (about 50 minutes with a drive followed by Park&Ride). Would recommend it to anyone who wants a quiet break. Aug 2011. 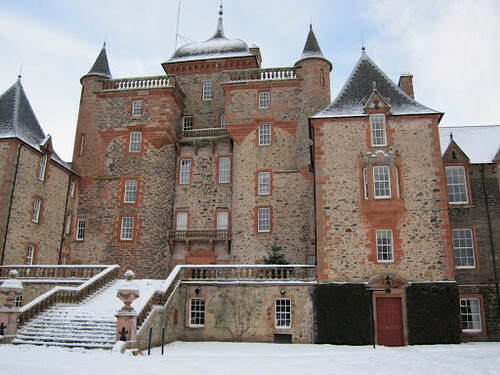 13th century castle that has been updated every few centuries which contains a wonderful range of history within.